Thanks for applying for our Android internship. We prepared a small test that shouldn't take more than an hour. When it is done, submit the results to magda.badita@roweb.ro. 1. Which option is better to use for each one of the following sequences of code and why? 2. Write a program in Java that will check if two arrays of strings are equal. I am a passionate Android developer and Scrum Master with 7 years experience in programming. I like to share my knowledge as a trainer and mentor on the internships organised at Roweb and also at the University of Pitesti. In my spare time I enjoy writing articles about Agile or programming on my blog and also on other developer communities websites. 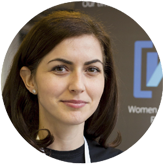 I am involved in organising free events for developers as a GDG Pitești Co-Organiser and also to support the women in tech as a leader of Women Techmakers România Community.